I knew there was camping involved with the tent. Loved the light tent shots -- but this is equally as beautiful! - really like the strong feeling of "getting out in the air" in this shot.. 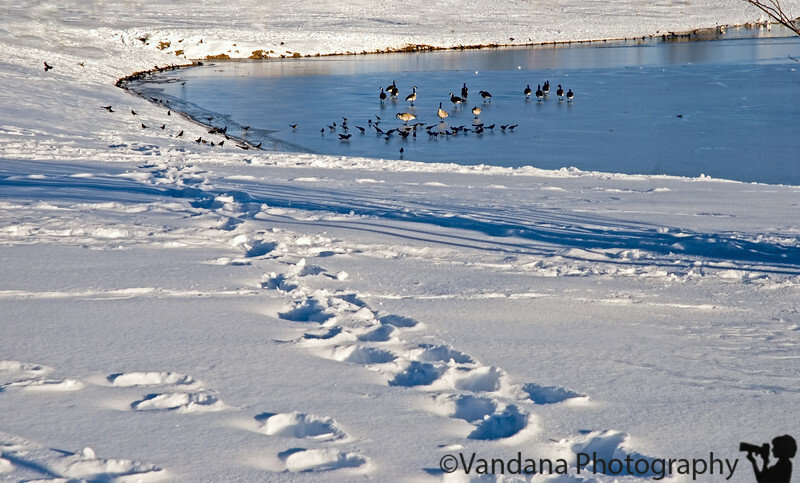 So when geese are standing on the ice, is one spouse goose saying to the other (in a nagging voice), "See, I told you we should have kept flying 2 more hours south". Nice winter scene with nice light. Getting claustrophobic, were you? :) Nice scene...what are they looking at? Somehow they look a little confused!